Lexus RC 500 5.0  2dr Auto 2019 Review | What Car? What Car? will save you at least £3,552, but our approved dealers could save you even more. The RC is a distinctive coupé with very low running costs if you opt for the hybrid. But while it’s well equipped and feels pretty plush inside, its small boot and rear seats and thrashy four-cylinder engine count against it. The RC F’s mighty V8 might sort the engine issues, but it’s expensive to run and not as fun to drive as a BMW M4. 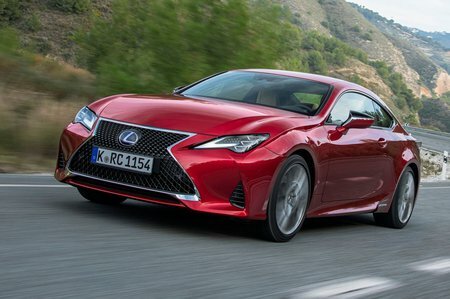 Unlike so many performance engines that rely on turbo or supercharging, the RC F gets a naturally aspirated 5.0-litre V8 that sounds fantastic and delivers serious performance. It is however expensive to run and isn’t as quick as the BMW M4 or Mercedes-AMG C63 Coupé. Thank the RC F’s portly weight for the latter.